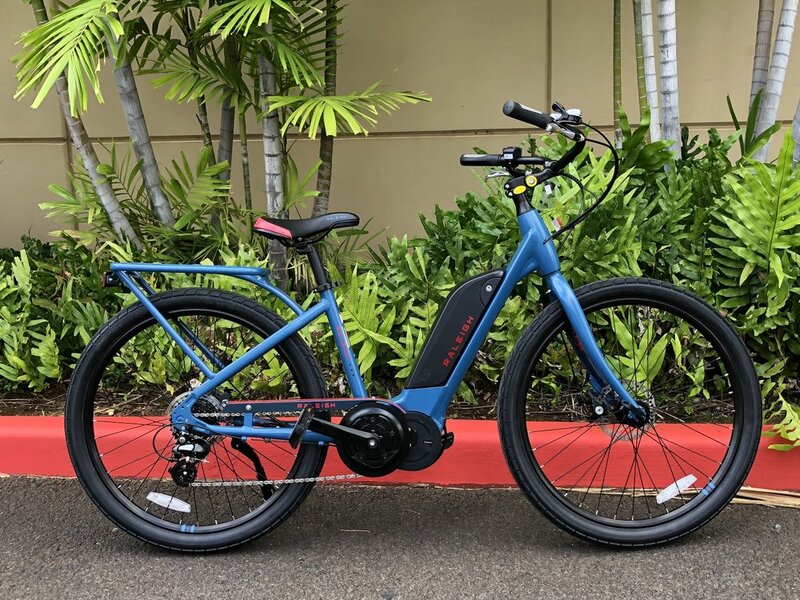 The latest and greatest of news going on at Ebikes Hawaii! The Ebike industry is very exciting and always advancing. We try our best to keep our customers fully informed, as well as providing updates with the current product lineup of our own. Awesome video from Electric Bike Report over at the Sea Otter 2019 event! Take a close look at the new Electric Brompton coming to Ebikes Hawaii soon! Ah yes, the age old question. Should I go down to my local electric bike shop to purchase a bike? Or should I find the seemingly best deal I can online via Amazon or the usual outlets. The prices are so low, how can I resist? We here at Ebikes Hawaii would like to take a moment and address different buying options for all you electric bike seekers out there. More and more we are seeing online outlets push their marketing and discounted prices appealing to all of us budget minded. Although pricing is certainly one aspect of purchasing your future electric bike, there are several other considerations we would like to highlight before making your purchase decision. Support. Okay, so I’ve either decided to bite the bullet on shipping or have found some kind of back end loophole online to get the electric bike to Hawaii at a reasonable rate. Although this could be happily ever after for some buyers, we would like to address some real concerns after the initial purchase that may come up during the life of owning the bike. Having good support from the manufacturer, especially living so far away from just about everything in Hawaii is critical. Any failed electrical components can render an electric bike pretty much useless, or in the very best case, a very heavy and hard to pedal regular bicycle. In some cases, the battery or any of the other electric components may fail, and if the manufacturer or online outlet cannot reasonably support their Hawaii based customer (as stated earlier, be Hazmat certified to reasonably ship a replacement battery), you’ve left with a pretty sweet looking paper weight. A “warranty” without the ability to support customers in Hawaii can often lead to some pretty unsatisfactory results. Lucky for you, we honor all of our bikes manufacturer’s warranty’s and are here to support you for the full life of the bike. Need any replacement parts? Easy. We order OEM parts direct from the manufacturer with shipping all handled. Our freight forwarders are well equipped to bring any parts from the mainland needed to keep you on the road. Even if the bike is out of warranty, we are still here to support you and find alternate options to keep you happily on the road. Too many times we have gotten electric bikes that need service that were purchased online /Amazon, leading to a failed repair due to lack of support from the manufacturer. At this point, we have implemented a general service policy of not servicing any electric bikes whose brands do not support dealers. This means full support, which in most cases, is limited to only the brands we sell. Simply put, we only service the bikes & brands that we sell and trust. And Lastly, numero 3, Try before you buy. If you are already on your journey to owning an electric bike, you may be overwhelmed simply by how many options there are. After outfitting thousands of customers on bikes, we can confidently say that the absolute best way to figure out which electric bike is best for you is to simply try one. Theres so many different factors involved that a simple test ride can reveal which your priorities and needs are. Hub motor, or mid drive? Do I want a city style, cruiser, or off road capable bike? Does a smaller 20” folding ebike make sense, will it have enough power? Speculation while browsing the internet can only do so much, and we truly believe that trying a bike before you buy is very important. Even if your local shop does not have something you want to purchase, you can at least get an idea of what your needs are as you continue your journey for the perfect electric bike. Yes, the rumors are true. Your friendly neighborhood electric bike shop is now the official Riese & Muller dealer of Hawaii. We first set eyes on R&M several years ago during our first Euro Bike expedition. The sheer size of the Euro Bike convention blew us away, however we could not help but notice Riese & Muller (from Germany) as one brand that stood out from the rest of the pack. Truly a cut above, R&M builds their electric bikes with absolutely no compromises. Quality, quality, quality. From the very first dual Bosch battery systems to their mid-drives paired with internally geared hubs, full suspension comfort bikes, award winning front loading electric cargo bikes (with full suspension), & so much more, we knew at first sight that one day we would have to carry the R&M brand at our humble shop. Well, the day is finally here and our first round of pre-orders are in! Stay tuned for more updates & content with the absolutely to die for electric bike brand that is Riese & Muller. The Nevo. Low step comfort. Bosch mid-drive combined with the internally geared rear hub. The Tinker. Compact, elegant, powerful. The Delite. Dual Bosch batteries. Full suspension, fenders, rear rack, and integrated lights. Check out our first quick take on the Raleigh Cadent 28mph Speed Pedalec Electric Bike! Highlight features include fenders, integrated lightning, rear rack, and throttle add on capability! This is the follow up to our highly popular iZip Dash model. Fresh batch of new Raleigh / iZip comfort bikes has arrived! Just in time for the holidays, the Sprite / Vibe models are perfect for your every day cruising needs. For 2019 they have updated the battery design (now centrally located on the downtube) giving the bike overall better balance and ride quality. Swept back adjustable handlebars keep you upright, and the rear rack is built right into the frame for strength and utility. The Sprite / Vibe is powered by a powerful 48 volt TranzX mid-drive system capable of climbing the steepest hills on Oahu! Stop by either our Honolulu or Kapolei stores for a test ride. We are excited to announce the addition of Bulls Electric Bikes to our lineup! Bulls is an awesome brand from Germany at the forefront of electric bikes, and has carved out a named for itself in the electric mountain bike industry. Offering a wide array of motors systems, our customers will now be able to choose from bikes equipped with the highly rated Brose (Brose S & Brose S MAG) motor systems, as well as the coveted Shimano E8000 series Mtb motors. In addition to these exciting new drive systems, Bulls also offers bikes with industry leading range. The current lineup pairs the Brose motors with high capacity 630 watt batteries. Keep in mind, batteries currently offered by other manufacturers range anywhere between the 400 watt hour and 500 watt hour range. Further more, motor & battery integration is some of the sleekest we have seen on the market. To the untrained eye, you may not even notice it’s an electric bike! Same tightly integrated Brose system, but with full suspension! The Brose system is also known for its extremely smooth and quiet activation (due to its internal belt drive). For anybody looking for a truly stealth electric bike, or who wants something with tremendous range on a single charge, the current lineup of Brose powered Bulls bikes is a truly exceptional option. Just added! The Six 50+ E FS2. Bosch CX powered full suspension (120mm travel) all around ripper! New Product Announcement! 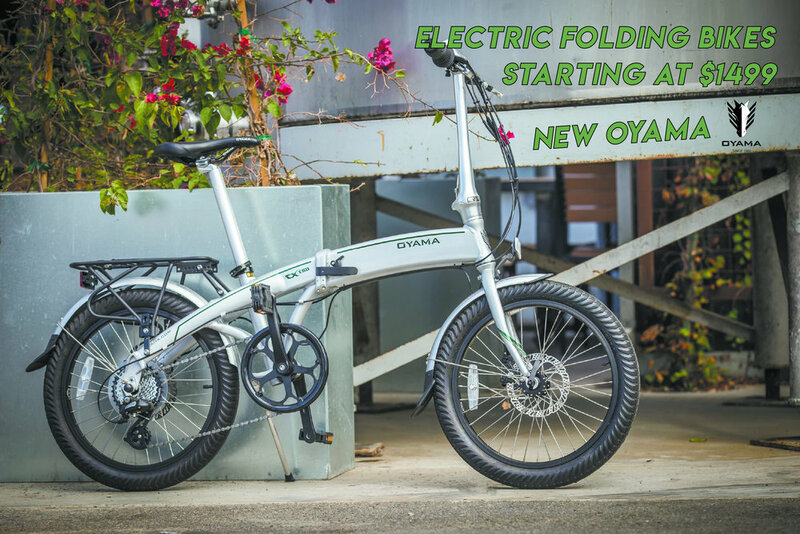 With the growing demand of more compact/portable electric bikes, we have decided to take on our newest brand OYAMA! With roots in Japan and more than 50 years of mechanical and design expertise, OYAMA knows whats up. The CX8D and CX8D Series II add electric boost to an already tried and true platform. Priced at $1499, the CX8D (base model) is an affordable way to ditch the gas guzzler or moped. Great for around town, on campus, getting to beach, etc- this little folder packs a punch with its integrated lithium battery and boost from the rear motor. The CX8D Series II models come with a sleek black/red color way, upgraded components, and of course more power! The OYAMA CX E8D is a lightweight folding electric bicycle that provides pedal-assisted power up to 20mph with a 250-watt custom-tuned motor ample for daily transportation and commuting needs as well as the thrill of exploring nearby places. Shimano 8-speed gearing, powerful disc brakes, and wide Kenda tires are supported by a strong and reliable set of double wall alloy rims. The CNC machined seat post, folding stem, and safety frame latch are all examples of the premium touches OYAMA bicycles are known for. Electric bicycles give riders an all-important pedal assist for that extra mile, which is especially beneficial if commutes are lengthy or hilly..
First ride on the All Mtn 6.0! The highly anticipated PW-X powered All Mtn Haibike has hit the shelves! Building off of one of our more popular Haibike models of the previous year, the new all mtn has been updated with slacker geometry, a longer top tube, plus wheels/tires, and of course the all new Yamaha motor. Re-wind one year and the Bosch Performance Line CX motor was our number 1 pick for performance. And it also came with a price point to match that high end performance. Bosch being one of the biggest names in the game provided an outstanding product for the masses and has been adopted by many manufacturer's as their flagship ebike mid-drive system. The previous PW system by Yamaha gave us a more affordable alternative while still giving us about 90% (give or take) of the performance of the Bosch system. For casual riders, this performance gap may be a complete non issue as the PW was still plenty capable. A few advantages that the more affordable Yamaha did have over the Bosch however was its increased range / efficiency & no drag from the motor when pedaling (with the power turned off). Fast-forward to today and we now have the direct competitor to the Bosch CX performance line, the Yamaha PW-X. Power has been increased. The motor/system itself has shaved weight, making it one of the best if not the best weight to power ratio systems in its class. The cranks have been upgraded from square taper to ISIS, and ratcheting of the engagement has been dramatically reduced. The display has been updated as well with its new EXPW (expert) power mode. Our initial thoughts on this system are very positive. Although the Bosch CX does seem to edge out the PW-X in high cadence power, the difference is now very marginal. However the smooth power application, efficiency (range), and new display are things that we do like more on the Yamaha side. You really can't go wrong with either option, and the All Mtn 6.0 priced at $4400 makes it a very compelling alternative to its Bosch counterparts. Just uploaded! Our very own Inboard M1 Electric Skateboard Unboxing! Stay tuned for more footage. Incoming! We are now Acton Global's official dealer of electric skateboards! 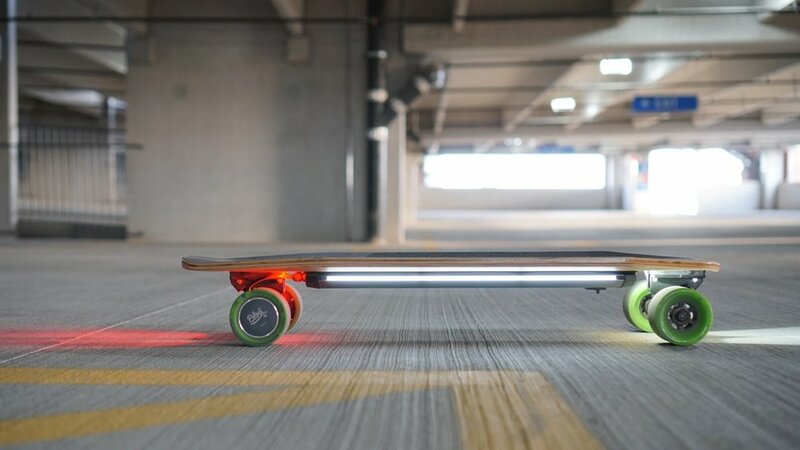 These boards are an absolute blast to ride and are perfect for getting to class, cruising around town/waikiki, diamond head, etc. The Blink S model is a single motor drive and is truly a must have for students & commuters. The S2 is perfect for those looking to step their game up with a more powerful dual motor. Integrated LED lighting is great for visibility/safety, and a functional kick tail allows riders to make all of those narrow / sharp turns needed to navigate campus & the city. 26x4" tires. Air pressures in the single digits. A silent, efficient & powerful Yamaha mid-drive system. The Fat Six 6.0 lands on Oahu smashing everything in its path. All the benefits of a fat bike without the downside of compromised rolling resistance. In this video we tested this model in various locations including Kauai's north shore. Hawaii + electric fat bike = butter. The all new Haibike Urban Plus Electric Bike has arrived! A little bit different than what we are used to from Haibike (mostly known for their high performance off road mountain bikes) but they really hit it out of the park on this one. The Urban Plus features an ultra sleek design from head to toe. Integrated down-tube battery, TranzX M25 mid-drive system, integrated fenders & lights and rear rack. The drive system is very powerful and is rated at 500 watts (high wattage rating for a mid-drive). Battery is at 500 watt hours at 48 volts. Speeds can reach up to 28mph making this a "speed pedalec" ebike. Bike components are also decently high end, featuring a crispy Shimano XT derailleur and Tektro Dorado hydraulic disc brakes. Wheels are a friendly 27.5" platform wrapped in very nice Schwalbe Super Moto-X tires. All high quality stuff wrapped up into a very clean package. The real icing on the cake here is that the Urban Plus comes pre equipped with the fully smartphone integrated COBI system (see youtube video above for more details). This system alone costs around $500, so having it come with the bike out of the box adds tremendous value. The COBI (Connected Bike System) puts you and your smartphone as the center hub of your electric bike. Just download the app from the App Store (compatible with both Android and iPhone) and you're ready to go. There is a built in cradle at the mid point of the handle bars enabling you to insert any smart phone of your choice. Once you power on the bike, it will automatically sync up with your app and you're good to go. The left thumb pad will control the assist level as well as cycling through the menu. Essentially all of the features can be accessed with just the left thumb pad, allowing you to have full control while riding your bike. GPS & offline maps are built in, allowing you to navigate directly from your hub. Input your destination and COBI will let you know which assist levels will be preferred for your distance. The fitness tab adds your body metrics (KCAL) in addition to heart rate with external sensors. RPM & cadence are built directly into the system. In addition, COBI can remotely control your music allowing you to skip tracks & adjust volume on the fly. And last but not least, one of our favorite features of the system is its built in alarm. Yes you heard us, a built in anti theft system! Just press the lower left lock icon in your app to lock your bike. If the bike gets tampered with, or moved without unlocking first, an internal alarm will sound off warding off any potential thieves. This features in addition to using a traditional lock should minimize any threats of your new bike getting stolen. Go ahead and check out our youtube video review (posted above) or come by our store to go for a test ride! We are certain you will be just as blown away as we were with the Urban Plus! Introducing the Haibike SDURO Hard Four 4.0. Priced at a cool $1499, this is by far the best electric bike we have ever offered at an affordable price. Featuring the same rock solid Yamaha PW mid-drive motor found in all of the full size electric mountain bikes, this little compact bike rips! 24" wheels and low standover height make this bike perfect for anybody up to 5 ft 10. It's small enough to stash away in your house, apartment, condo, work office, car, anywhere! Take it down to the beach, commute to campus- this little guy does it all. In a land far, far away from the hustle and bustle of Waikiki, lies an untouched landscape of tall green mountains, a pristine turquoise ocean, and a place you can ride your electric mountain bike to your heart's content. Ka'ena Point Trail is located on the western side of our beautiful island of Oahu. It is an unpaved, yet, ridable path that will lead you on a journey that would seem straight out of the a Jurassic Park movie. This trail is fun to ride on our Haibike rental bikes. West of Waianae, the trailhead begins at the farthest side of Ka‘ena Point State Park where the paved parking lot ends. You can ride ebikes or walk for 2.4 miles to Ka‘ena Point Natural Area Reserve. At the end of your journey on the unpaved path, you will come to a gated area which the state of Hawaii has set up as a Natural Area Reserve. Here lives nesting Laysan Albatross, Hawaiian monk seals, and many other native Hawaiian vegetation and critters. If you're looking to get off the beaten path, are a semi-experienced ebike rider, and want to experience this trail for yourself, give us a call and we can hook you up with our high-quality Haibikes and some local insider tips for your journey. Please check the local weather report before heading out to Kaena Point. Riding in the rain is very difficult and conditions can become muddy. We recommend early morning rides since the sun gets hot on the west side of the island, and bring lots of sun protection and water. Helmets are highly recommended as the trail can be rocky/ semi-rough terrain. Our Haibike Rentals start at $80.00 per day and will allow you to ride up to 40 miles on a single battery. Come on by your friendly neighborhood electric bike shop for some great deals this weekend. Bikes, parts & accessories will be discounted. The 2017 iZip Dash has arrived! Yes, we are well into 2017 but hey- thats how we do it out here in Hawaii. The Dash is no stranger to our lineup of electric bikes. In fact it has been a staple and one of our most popular speedy commuters to date. Starting back in 2015, the Dash sported a 500watt rear hub drive with mechanical brakes and did not come with any add-ons. Fast forward to 2017 and boy have things changed. To start, the Dash was reintroduced in 2016 with a 350 watt TranzX mid-drive system. Mid drives have become more and more popular over the years with manufactures. Their benefits include a more balanced platform, standard front & rear wheels (much easier to do maintenance, flat repairs, etc. ), mechanical leverage on all of the gears, improved hill climbing ability, better efficiency, & more. The voltage remains at 48, allowing the the bike to still reach speeds of up to 28mph while now having much greater climbing ability. The Dash then came standard with fenders, a sturdy rear rack, and integrated lighting. What a package! Now in 2017 the Dash has been updated yet again. More subtle this time with improved lighting, a new color scheme, upgraded front fork (now Rock Shox) & updated drivetrain. The bike now sports a new sleek downtime battery that sits snugly inside the downtime (where as previous year models were more "bolted on"). Water bottle mounts have been included and are greatly appreciated. Perhaps the biggest change is the raw aluminum frame color which simply looks badass. Raw finishes are normally priced at a premium. However the 2017 Dash remains a great value priced at $2599. Is commuting on an Ebike Safer? Ah yes, the age old question. Is commuting on an electric bicycle actually safer than a regular pedal bike? The answer folks, for many people can actually be yes. Riding an electric bike for commuting purposes can many times be safer than only being propelled by human power alone. How can this be, you may ask? How can a bicycle with an electric motor actually be safer than riding along with my own two legs? The answer lies within the heavy traffic roads of Oahu and steep elevation that many riders encounter when riding their bikes. As lovely as Oahu is, there is no denying the congested roads. For many of us commuting to work on a bicycle means avoiding dangerous traffic. To make matters worse, when climbing steep hills, the speed of a bicycle and the flow of traffic tends to spread further apart. Cars start whizzing by and making riders feel even more vulnerable. Lets look at the big picture here. An electric bicycle can be much safer (especially for less experienced riders) for commuting as it allows them to more easily ride at the flow of traffic. No more holding up a huge line of cars when climbing hills, and maintaining 20+ mph over long distances gives riders the confidence they need to actually choose riding a bike over driving their cars. The assist also allows for faster acceleration from a stop. Again allowing riders to more easily go with the flow of traffic instead of holding up angry commuters behind the wheel. Here at Ebikes Hawaii we believe an electric bicycle to be the ultimate car replacement. We like to think outside the 4 wheel'd box. Think about how many Ebikes could fit into one parking stall, or how much less traffic we would have on our roads if more drivers would consider riding an assist bike to work or run errands. We feel it is our personal duty to educate each and every person on the benefits of an electric bicycle and how it can help shape our future. Mahalo! 2016 Haibike Yamaha SDURO Closeout! Welcome to the electric mountain bike revolution! Our pedal assisted e-mtb's by Haibike will leave you with an ear to ear smile. Powerful & efficient mid-drive system by Yamaha & Bosch provide incredible performance. Pedal assist - regardless of your skill level, the pedal assist system will allow you to climb hills and ride without being limited by your physical ability. Skilled riders can enter a new sport where motor assistance introduces new skill sets. Despite some nay sayers, maintaining higher speeds with an electric assisted bike on the trail isn't easy- especially at race pace! Multi purpose - It's no secret that traffic is horrible on Oahu. Rip your Haibike on the trail then use it as a car replacement to get to work. Forget about gas, traffic, noise, insurance, etc. They are just as capable on the road as they are on the trail allowing you to cover serious distances with minimal effort. Your health - Riding an electric assisted bike in place of driving can have serious improvements on your health. Studies have shown that the best kind of workout for your long term health is moderate sustained & consistant workouts. The pedal assist system gives you full control between zero assist and turbo model. Choose eco, or sport for a light boost. 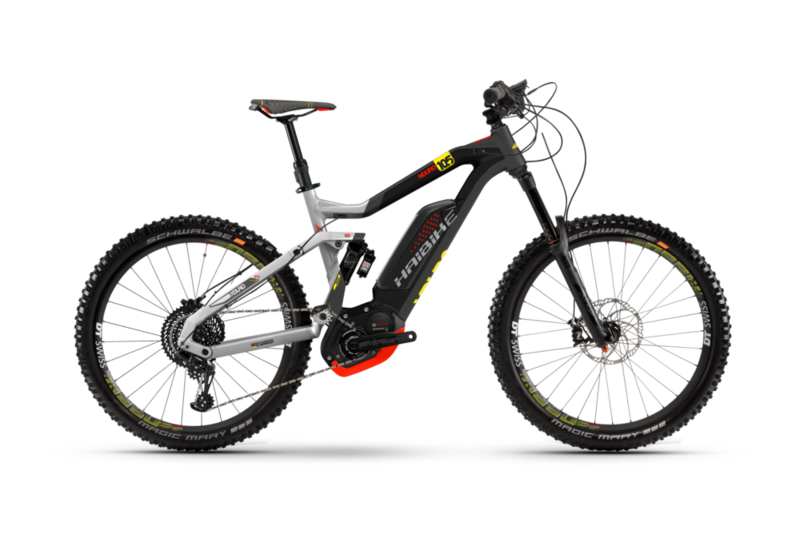 Fun factor - An electric mountain bike will make you feel like a kid again. No longer are you restricted by your physical ability. Explore the island in a completely new way. 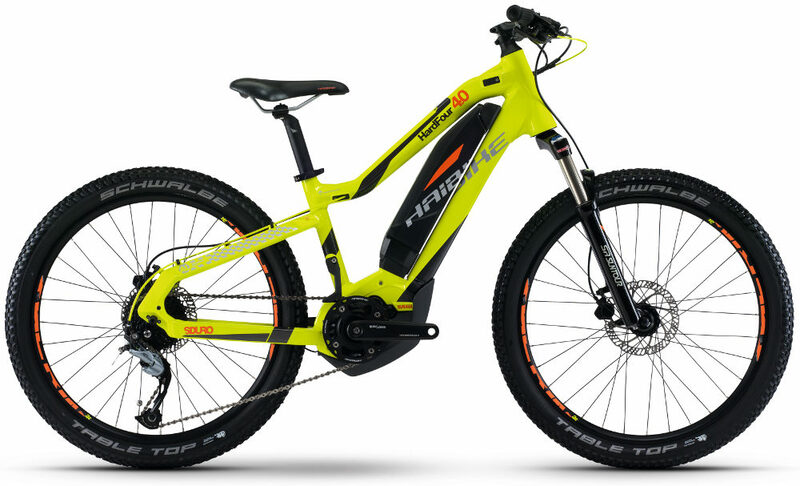 Ebikes Hawaii is Hawaii's exclusive Haibike dealer, offering the best of the Haibike lineup. We are also a certified Bosch service station and have extensive knowledge of the Yamaha system. We are reaching the end of our 2016 Haibike SDURO Closeouts! Bullet proof Yamaha PW Drive system paired with Haibike's German engineering design and quality make these bikes a winner. Some things, like a classic cruiser bicycle, never go out of style. The 7-speed Retroglide iE with step-through frame is everything you’ve always loved about cruisers — style, simplicity, comfort, value, and fun — now as an electric bike. It’s the best of both worlds: the ride you need as an adult (performs perfectly for your daily responsibilities like grocery shopping or heading to work) that makes you feel like a kid again. The 350W Currie Electro-Drive®/TranzX mid-motor system gives you plenty of power to flatten the hills, and turn headwinds into tailwinds, when you want that extra boost. With a long-range battery pack you can pedal to work and still fly around the neighborhood a couple of times afterwards, racing the sun to make it home in time for dinner. The myth, the legend, the Stromer ST2 is HERE, and NOW available for you to try out! We are happy to announce a special addition to our electric bike rental fleet here in Honolulu. The latest and greatest in Electric bike technology has found its way to Oahu! Having won awards at both Eurobike and Taipei Cycle, the ST2 lives up to its Swiss built "tank-like" reputation down to the last detail. For those of you that don't know, this ebike has broken barriers in both design and technology, the first of it's kind to produce 93 miles of range, up to 28 mph of pedal-assisted speed, 750W of engine power and 35 nm of torque, all in an ebike that can cruise down any old bike lane! We have tested this Swiss workhorse this summer, successfully riding from our Town bike shop all the way to Chinaman's Hat on just one battery. There is nothing like riding 28 mph on a bike that sends it's rider on a high-speed, exhilarating ebike experience that you must try to understand. Its Schwalbe "BigBen tires", puncture-proof and smooth as butter, help transform this 57.3-pound rocket into a smooth, road conquering vehicle that provides a similar feeling as an amusement park ride would. Don't discount the fact that the ST2 is pedal assist, still giving it's rider some exercise and endorphins, and disavowing any claims that you might be "cheating" by riding an electric bike. The ST2 is available for rental from our Kapahulu bike shop, check out our "RENT A BIKE!" section to get more information on pricing, availability or call our rental office at (808) 744-4886 for more information. Mahalo!